What is a Rainbow Session? Rainbow Sessions are for pets preparing to cross the Rainbow Bridge due to illness or aging. They can be held on-location or in the privacy and comfort of your home or backyard, and we will work at your pet's pace to ensure a calm and relaxed experience. You can devote this time entirely to capturing images of your pet or join in, if you wish. Every Rainbow Session includes a complimentary product, so you are guaranteed to walk away from your session with heartwarming images and beautiful memories by which to celebrate the joy and love between you and your pet during what is undoubtedly a difficult time. Due to their nature, these discounted sessions are given scheduling priority whenever possible. Please inquire via the button at the bottom of this page. WHY WOULD ANYONE WANT PHOTOS OF THIS DIFFICULT TIME IN THEIR PET'S LIFE? While the reality of losing a fur baby is incredibly sad, Rainbow Sessions are designed to be a celebration of your relationship with your pet. I photograph the little things that you'll want to remember: the way your pet's paw felt in your hand, his familiar expressions, those funny quirks, and the love you share with one another. Clients who have done a Rainbow Session express great appreciation in having beautiful keepsakes of their fur babies to maintain that irreplaceable connection and reinforce how these photos have helped ease the difficult pain of losing them. HOW DO I KNOW IF A RAINBOW SESSION IS RIGHT FOR ME? These type of sessions certainly aren't for everyone--and that's OK! Only you will know if investing in a Rainbow Session is right for you and your pet. While I encourage you to capture the memories of your dog while he is happy and feeling/looking good, there may come a time in your pet's life when he has progressed to a period which you don't want to remember him in that way. If that is the case, do not feel bad in simply appreciating the photos that already have of him. 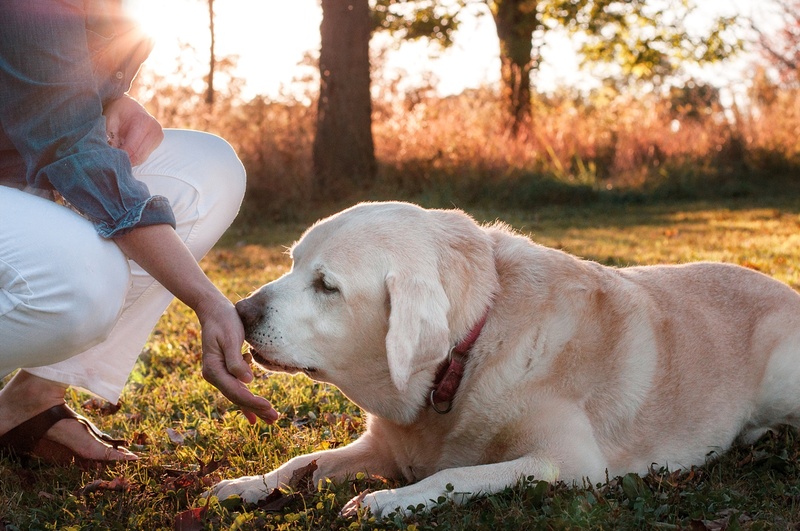 Rather than forcing yourself into a session that may result in images too heart-wrenching to look at once your pet has crossed the Rainbow Bridge, take comfort in spending the remaining time you have left together. You will value that time just as much. I WANT PHOTOS, BUT I WORRY ABOUT SOME COSMETIC ISSUES ASSOCIATED WITH HIS AGE/ILLNESS? I am happy to correct any cosmetic issues, such as missing fur, removal of masses, cataracts, swelling, etc. in post-processing to ensure your pet looks the way you want to remember him. This is a concern we can discuss this during your pre-session consultation. DOES MY RAINBOW SESSION INCLUDE ANYTHING? Yes, each Rainbow Session includes our time together as well as three complimentary 8x10 prints. If you want to learn more, you can receive a free copy of my Rainbow Sessions Guide that includes detailed pricing and additional information by inquiring via the button below. To schedule your Rainbow Session or learn more about Bark & Gold Photography, contact me at jessica@barkandgoldphotography.com or call 724-913-BARK (2275). All content © Bark & Gold Photography, LLC, 2019. All rights reserved.